Noted author and scholar Richard Mouw, president of Fuller Theological Seminary, will lead the 37th annual Whitworth Institute of Ministry July 9-13. WIM provides clergy, laity, and their spouses and children a week of spiritual encouragement, equipping for ministry, and inspiring worship. The public is invited to attend the institute’s worship services Monday-Thursday at 7 p.m. in Seeley Mudd Chapel. Admission to the services is free. Pre-registration and payment are required for those who wish to participate in other WIM programming, including Bible hours, convocation hour, and afternoon workshops. For complete WIM details, a schedule of events, and to register, please visit www.whitworth.edu/wim or call Toni Sutherland, WIM program coordinator, at (509) 777-4345. The perspectives and questions of younger pastors: “Leading On in Times of Change” will be led by Mindy Smith, Whitworth’s campus pastor. Worship leadership: “Let All Creation Sing! Singing and Leading Music from the Church Universal” will be led by Ben Brody, associate professor of music at Whitworth, along with other members of the WIM music leadership team. Following the conclusion of WIM, podcasts of the presentations will be available at www.whitworth.edu/podcast. 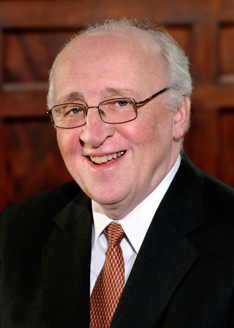 Richard Mouw has served as president of Fuller Theological Seminary since 1993. A philosopher, scholar and author, Mouw joined the Fuller faculty in 1985 as a professor of Christian philosophy and ethics. He served previously as a professor of philosophy at Calvin College, in Grand Rapids, Mich., for 17 years, and he was also a visiting professor at Amsterdam’s Free University, in The Netherlands. A graduate of Houghton College (N.Y.), Mouw studied at Western Theological Seminary and earned a master’s degree in philosophy at the University of Alberta. He holds a doctorate in philosophy from the University of Chicago. Mouw is the author of 17 books, including The God Who Commands, He Shines in All That’s Fair, Culture and Common Grace, Calvinism in the Las Vegas Airport, and an expanded and revised edition of Uncommon Decency: Christian Civility in an Uncivil World. In 2007 Princeton Seminary awarded Mouw the Abraham Kuyper Prize for Excellence in Reformed Theology and Public Life. MaryKate Morse is professor of leadership and spiritual formation at George Fox Evangelical Seminary. She earned an M.A. in biblical studies and an M.Div. from Western Evangelical Seminary (now GFES), and a doctorate from Gonzaga University, where she studied the characteristics of renewal leadership as modeled by Jesus. She is a recorded Quaker pastor, church planter, spiritual director, conference and retreat speaker, writer and author of Making Room for Leadership. Tod Bolsinger has been senior pastor of San Clemente Presbyterian Church, in Southern California, since 1997. He served previously at First Presbyterian Church of Hollywood (Calif.) for 10 years. Bolsinger earned a Ph.D. in theology and an M.Div. from Fuller Theological Seminary. He speaks and consults with church, organizational, and business leadership groups as a representative of TAG Consulting. Bolsinger is the author of the books It Takes a Church to Raise a Christian and Showtime: Living Down Hypocrisy by Living Out the Faith. He teaches at Fuller Theological Seminary and Denver Seminary, and authors the blog “It Takes a Church...” at http://bolsinger.blogs.com.